The Supreme Court recently upheld the constitutional validity of Rule 12 of the Uttar Pradesh Higher Judicial Service Rules, 1975 which provides cut-off date for the fulfillment of the age criterion (35-45), as the first day of January next following the year in which the notice inviting applications is published. 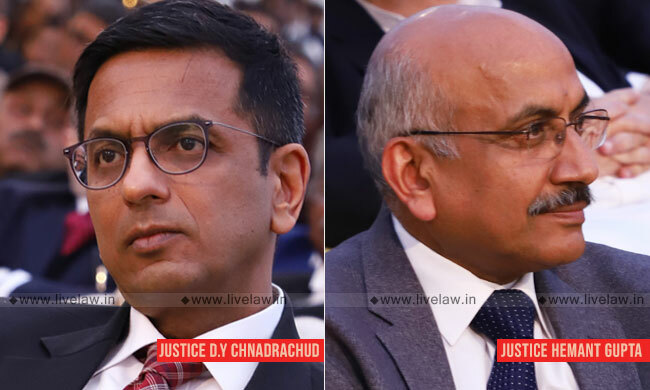 The bench comprising Justice Dhananjaya Y Chandrachud and Justice Hemant Gupta also observed that prescription of an age limit is in pursuance of the discretion vested in the appointing authority to prescribe an age criterion for recruitment to the HJS. 12. Age – A candidate for direct recruitment must have attained the age of 35 years and must not have attained the age of 45 years on the first day of January next following the year in which the notice inviting applications is published; Provided that the upper age limit shall be higher by three years in case of candidates belonging to Scheduled Castes and Scheduled Tribes and such other categories as may be notified by the Government from time to time. The contention raised in challenge against these Rules was that an age limit of 45 years (48 years in the case of candidates belonging to the Scheduled Caste and Scheduled Tribe category) with reference to the first day of January of the year following the year in which the notice inviting applications is published, is arbitrary and violative of Article 14 of the Constitution. They were essentially aggrieved because, as a result of the operation of Rules 8 and 12, a candidate who has crossed the age limit prescribed between the date of the last recruitment and the present recruitment process would be debarred from appearing in the competitive examination. Rejecting these contentions, the bench said the power to fix a cut-off date or age limit is incidental to the regulatory control which an authority exercises over the selection process. "The petitioners and the appellant desire that this Court should roll-back the date with reference to which attainment of the upper age limit of 48 years should be considered. Such an exercise is impermissible. In order to indicate the fallacy in the submission, it is significant to note that Rule 12 prescribes a minimum age of 35 years and an upper age limit of 45 years (48 years for reserved candidates belonging to the Scheduled Castes and Tribes). Under the Rule, the age limit is prescribed with reference to the first day of January of the year following the year in which the notice inviting applications is published. If the relevant date were to be rolled back, as desired by the petitioners, to an anterior point in time, it is true that some candidates who have crossed the upper age limit under Rule 12 may become eligible. But, interestingly that would affect candidates who on the anterior date may not have attained the minimum age of 35 years but would attain that age under the present Rule. We are adverting to this aspect only to emphasise that the validity of the Rule cannot be made to depend on cases of individual hardship which inevitably arise in applying a principle of general application. Essentially, the determination of cut-off dates lies in the realm of policy. A court in the exercise of the power of judicial review does not take over that function for itself. Plainly, it is for the rule making authority to discharge that function while framing the Rules."